Meet me. 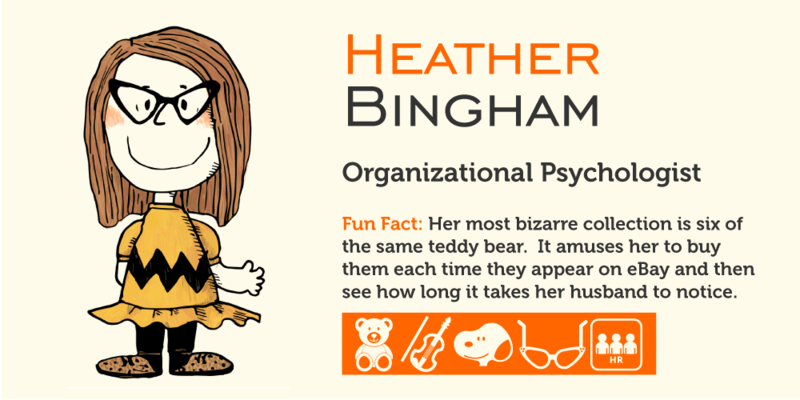 I am Heather Bingham, Organizational Psychologist and HR specialist at BOOST & Co. I have analysed and mapped BOOST’s organisational culture and I’m now implementing people processes that fit and reinforce that cultural map across London and Cape Town. When I see people processes ceasing to be burdensome and starting to excite everyone involved, that’s when I feel best about my job. I love a project, especially when it’s largely of my own design. I also enjoy building strong relationships with everyone I work with, because then I’m doubly motivated not to let them down. I play the violin and was paid to play small gigs from the age of 14. My first proper job was with Boston Consulting Group during university, supporting their recruitment team in London. This was enormous fun. I have a fear of heights and friends have been known to attempt a cure through impromptu DIY aversion therapy. I’m definitely not falling for that again. Social injustice, bigotry and religious intolerance, any breach of the Equality Act 2010 and Katherine Jenkins. I have a huge collection of Snoopy merchandise. Venice this Easter and Berlin in October. Have a question about BOOST culture?